Want to recover files from hard drive after formatting, deleting, disk failure, system crash, etc.? Free download hard drive recovery software and you can follow this guide to get back lost files from hard drive quicly and easily. There exists various kinds of storage devices at present, and usually we need to use one or more to store at our own convenience. Anyway, hard disk is always the main storage choice of most of users at home or company. We save large mass of files and folders on computer hard disk every day, for we take it as the permanent storage media and files can be stored for a long period of time. Files on the disk are accidentally deleted. It is panful experience when valuable files get lost off hard disk. For instance, if hard drive is formatted, everything on the drive will be gone, including significant documents, family pictures, favorite movies, studying data, etc. 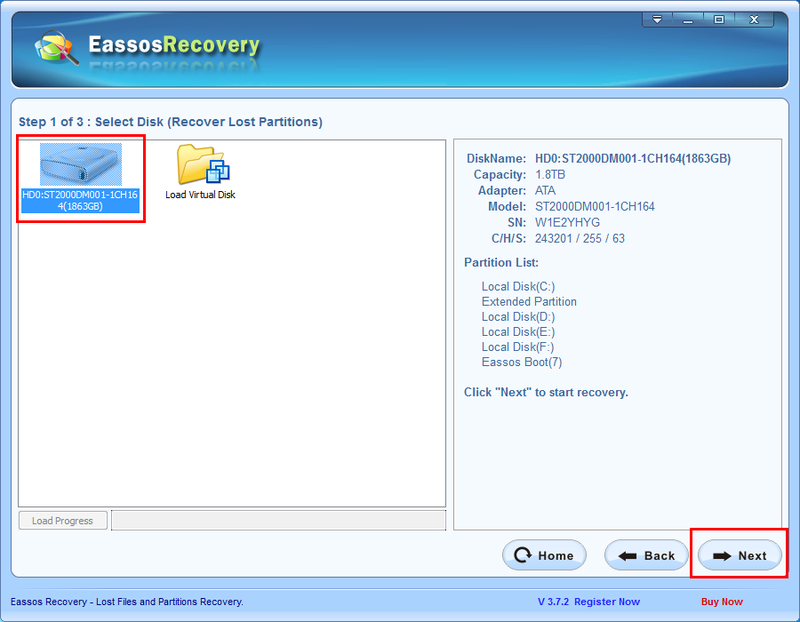 You may ask “how to recover files after format?” The answer is using hard disk recovery software Eassos Recovery. 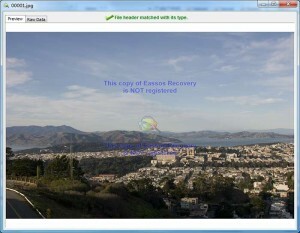 Here is a brief review of the recovery software. Hard disk recovery is quick: it is indisputable that if files are formatted from hard disk of your computer or laptop, you’ll not able to get them back without doing hard drive recovery. Formatted files still stays on hard drive, though formatting has created new file system. 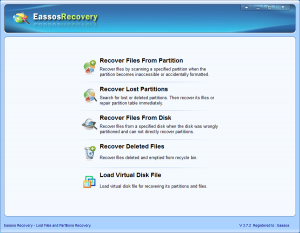 Eassos Recovery can detect and restore them quickly. Recovery process is secure: this hard disk recovery software is read-only for all of its recovery modes, which means that no writing or changes will be caused to the drive being recovered. Thus, there is no need to be anxious that data on the drive will be damaged. Various file types are supported: it is able to search for and analyze different types of files at one time. 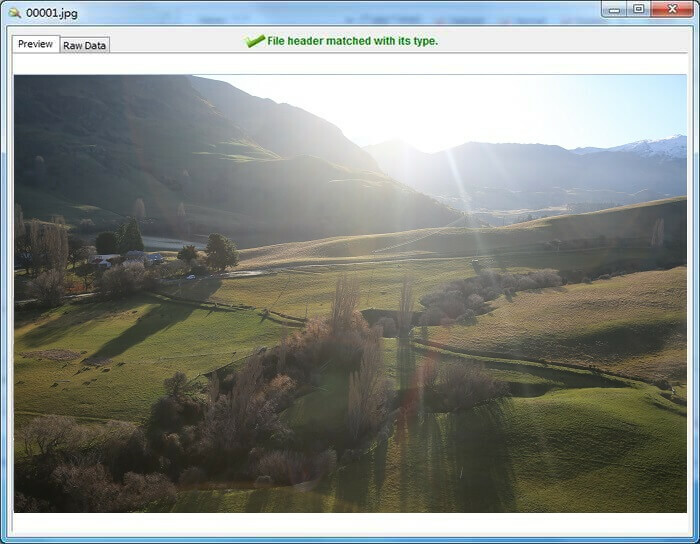 This features should thanks to the advanced algorithm which can identify file types and organize original directories. Trial versions is available: you can download and try the trial version which is capable to show files that found by the software. And you’ll get to know recovered file quality. 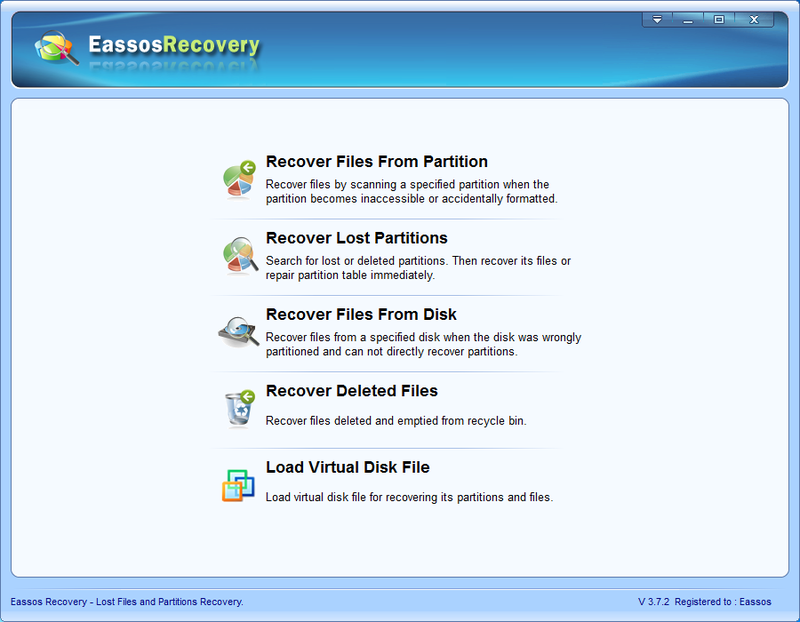 Run Eassos Recovery and get the main interface as follows. Select recovery mode you should use. Select the drive or partition that used to store lost files and click “Next” button to scan files. File preview and recovery. You can preview files one by one after file scanning is done and choose desired to copy them out. Select files you want to recover and click Next button. Then you can set a location to save recovered files. 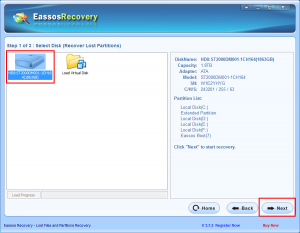 This entry was posted in Data Recovery and tagged hard disk recovery, hard disk recovery software, hard drive recovery, recover files after format, recovery software by EASSOS. Bookmark the permalink.